Brian Thacker Travel Writer | Travel highlights of 2015. 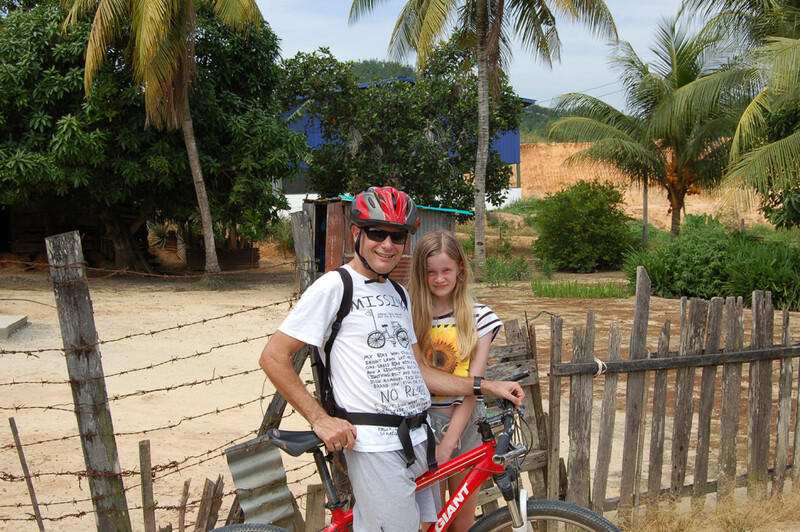 On the first morning of our Big Dad & Daughter Adventure to Borneo we joined a mountain bike tour. The terrain varied from dirt roads through rubber plantations and sleepy villages to off-road jungle adventures up way-to-steep-for-my-liking gravel tracks and cruisy paved country roads. After getting all nice and hot and sweaty on the bikes we headed up river for some much cooler white water rafting. Although the rapids weren’t very, well, rapid we had a lovely two hours cruising down a wide river surrounded by thick jungle. 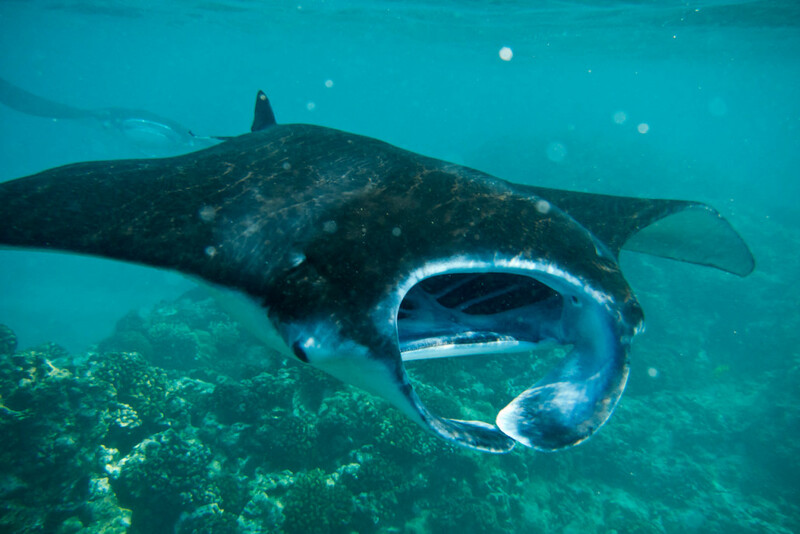 I went on a snorkelling trip to the island of Nusa Penida (next to Nusa Lembongan, which is near Bali) to swim with Manta Rays the size of cars. And that wasn’t the only worry – the water was so rough that metre-high swells were smashing into the shear limestone cliffs. As soon as we arrived our skipper screamed, ‘Manta!’ and told us to quickly jump into the water. I dived in and immediately found myself smack in the middle between two huge creatures. One of their massive rippling wings brushed past me and I’m not ashamed to say that I almost wet my swimming trunks. 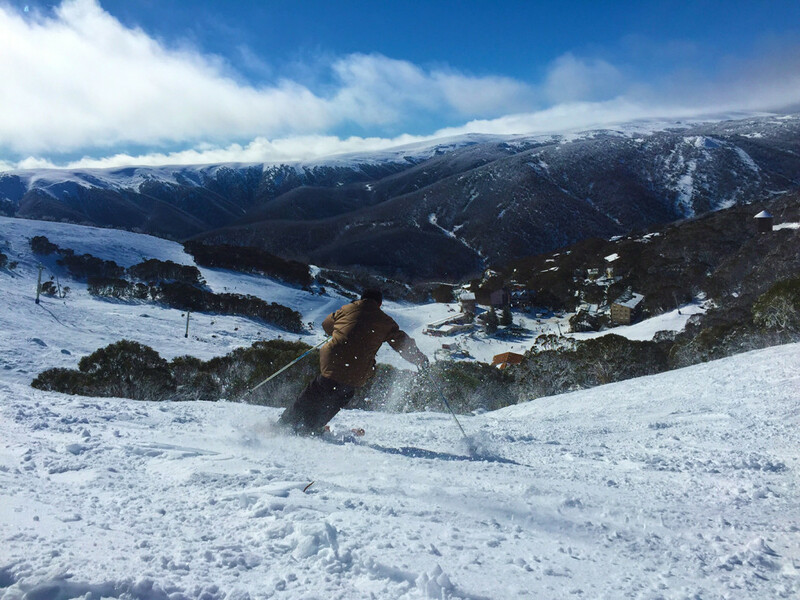 This year I celebrated 30 years of skiing with a trip to where it all began in Falls Creek. I went with my friend Stu who taught me to ski there on my very first day. We hadn’t been to Falls Creek together since then. On our weekend away we had beautiful dry snow and clear, sunny days and I was just as excited doing my first run down the chalky dry snow of the Summit as I was on my first ever ski run. I have not laughed so much in ages. Found only in Borneo, these wacky primates with their comically large noses were so excitably exuberant one minute then calmly relaxed the next that they made me laugh until I cried. 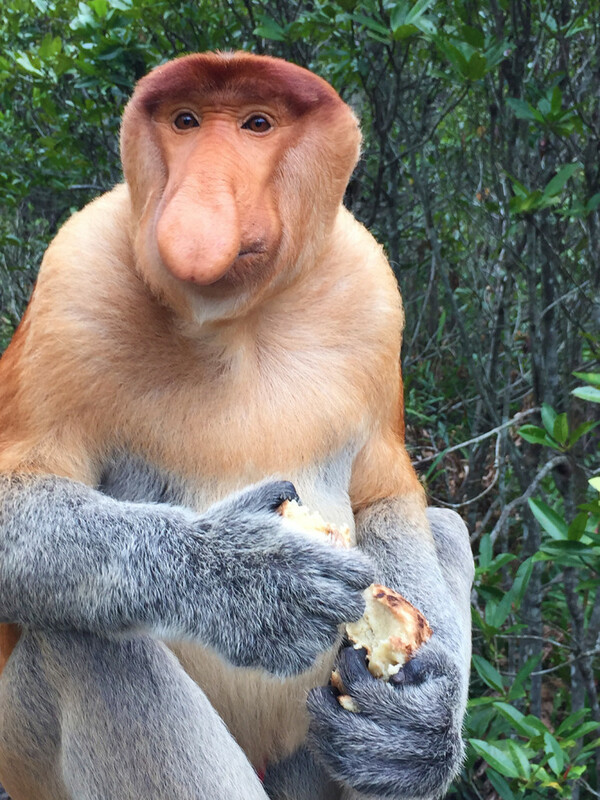 We got up close and personal at the Labuk Bay Proboscis Monkey Sanctuary where the Jimmy Durante lookalikes went absolutely bonkers when the ranger laid out fruit and a sort of pancake thing for them. There was out of control thumping across the boardwalks, a few all-in brawls and endless hilarity. I tried stand up paddle boarding for the first time this year while I was up in Noosa in Queensland. 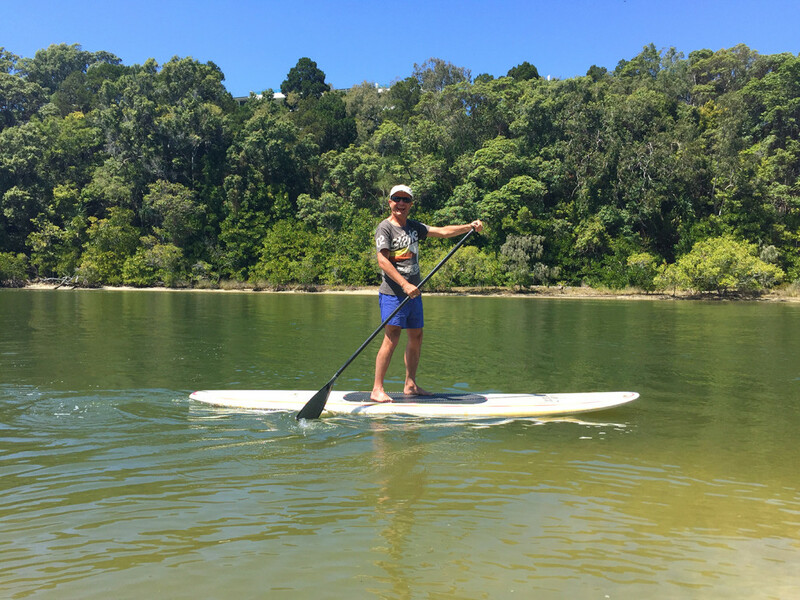 My old college friend John just happens to be a stand up paddle board teacher, so I had a private lesson as we cruised around the lagoons of Noosa Sound past opulent holiday homes, through mangrove forests and over a school of sting rays. And best of all, I didn’t fall in once (which was particularly nice when we were right above the sting rays). When I asked my wife Beth where she would like to spend her 40th birthday I wasn’t surprised when she said Ubud, Bali. 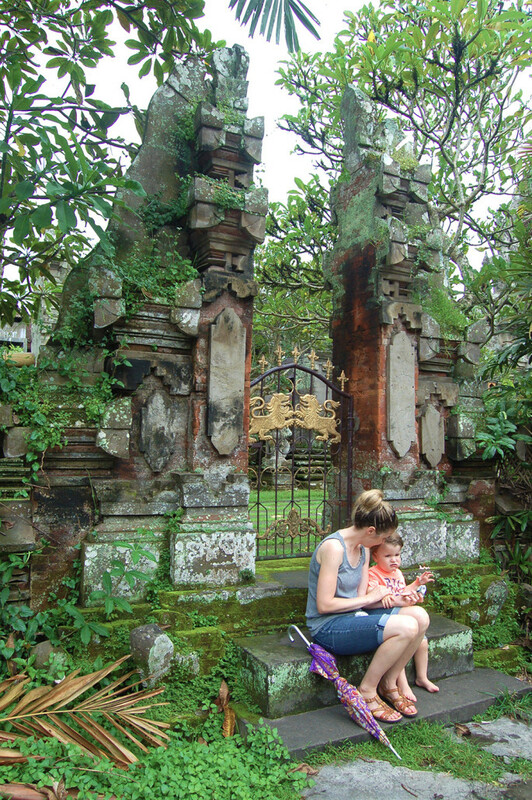 Not only did I meet Beth in Ubud, but it holds a very dear spot in her heart. We stayed for five days in our own villa hidden away from the crowds and spent our time walking, eating, drinking, shopping, swimming and more eating and drinking. For Beth’s birthday we went for a walk on along the Campuhan Ridge (where we first met!) and had dinner at the lovely Indus restaurant. Last year I had Thanksgiving in snowy (and bitterly cold) Minnesota. This year we warmed things up a bit and rented a holiday house at the beach for the weekend. There was no snow, but we still had roast turkey, stuffing, green bean casserole and pumpkin pie. All cooked in a tiny oven in our tiny holiday house. We then spent the rest of weekend at the beach, walking in Point Nepean National Park, eating out (including having the ‘best vanilla slice in Australia’) and going to the wonderful Craft Market, which we were lucky enough to be in town for. 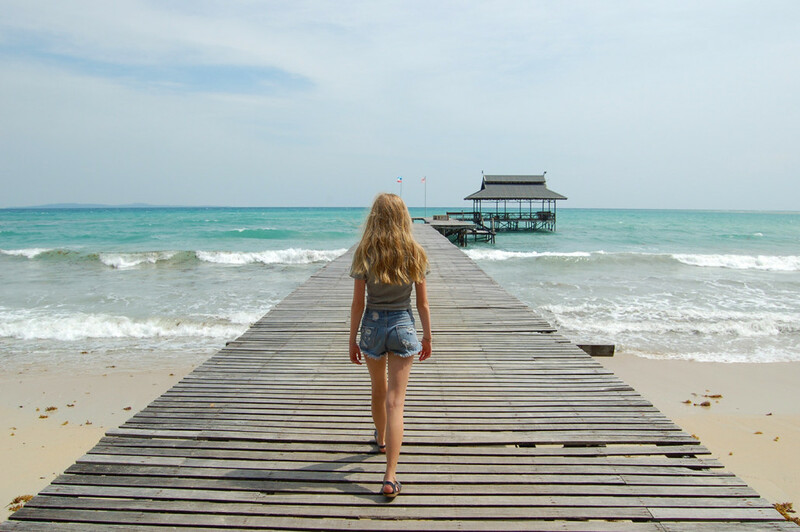 At the end of very crowded beach on Sapi Island was a rocky point and my daughter Jasmine suggested that we should see how far we could get around the rocks. Although we had to clamber over large boulders and tip-toe over incredibly slippery rocks for about fifteen minutes we eventually came across our very own private and perfectly pristine beach. We then had a delightful couple of hours sunning and swimming before clambering back over to the hordes. This year also marked 20 years of staying at the same ski lodge on Mt Hotham (the Gravbrot). I stayed there twice this year – with a bunch of mates and my annual Dad & Daughter ski weekend. When I was there for the lads’ ski weekend I got them all to download the Ski Tracks phone App, which tracks all your runs as well as how fast you go. We then tried to outdo each other with our top speed (it’s not the safest of pursuits I might add). On our first day Ben won with a top speed of 67 kph. I wasn’t going to let him win, so on the second day I got out before the first lift opened and headed to one of the steepest groomed runs on the mountain and went down in tuck without turning (well, until I got to the bottom a threw in a few frantic turns to slow down). When I met up with the boys I flashed my App with a top speed of 79.8 kph. 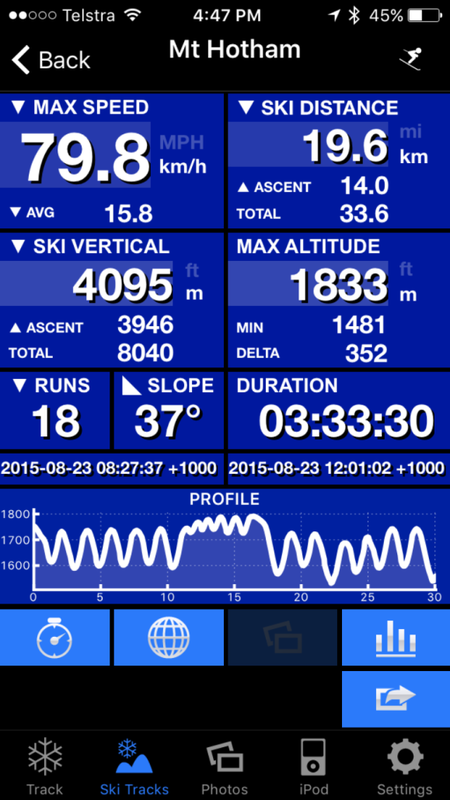 (That’s not my overall top speed by the way – I got up to 96 kph on the long wide runs of Park City, Utah). I don’t need to travel all the way to Germany for some gemütlichkeit (good beer-drinking fun). In fact I just have to pop across the road. 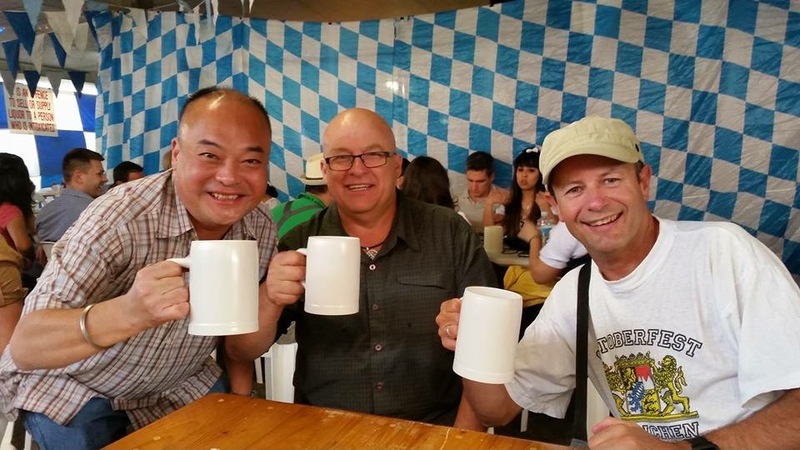 A three minute walk from my house is the the Tivoli German Club and at their annual Oktoberfest weekend there is lots of folk wearing lederhosen and dirndls, eating bratwurst and kartoffelpuffers, dancing to oompah music, slapping a few thighs and downing mugs of German beer. I went with a couple of friends from my tour leading days in Europe and it was just like old times (except we had no drunk passengers to herd back to the bus). Christmas with George Michael. The 10 best desserts in the world.